← A wine drinkers dream come true! Members: Mario Aguilar, Marcello Averburg, , Cecilio Berndsen, Clara Estrada, Jorge Garcia-Garcia, Emilio Labrada, Peter Lapera Alvaro Lopez, Orlando Mason, Ítalo Mirkow, Jorge Requena, Pedro Turina, Ginger Smart, , Ricardo Zavaleta. The Winery. Pearmund Cellars is located in the foothills of eastern Fauquier County, VA, conveniently close to Northern Virginia and Washington, DC. The 7500-square-foot geothermal winery and 25-acre vineyard produces Chardonnay, Viognier, Riesling, Late Harvest Vidal, Merlot, Cabernet Franc, Cabernet Sauvignon, Petit Verdot, Meritage, and other award-winning Virginia wines. 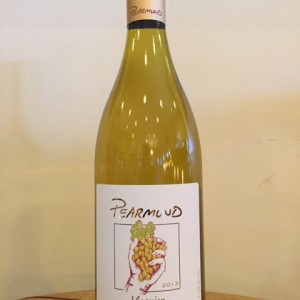 The Wine: Pearmund Cellars (voted Virginia’s Best Winery and Winemaker several years running). Pearmund Cellars 2013 Viognier has been awarded 90 pts. by the World Wide Championships. Experts Ratings: W&S 90 pts. The Winery : The estate winery and vineyards are located on 830 acres of beautiful rolling hills near the Blue Ridge Mountains. We presently have 90 acres of vineyards and continue to expand. Under the direction of Luca Paschina, General Manager and winemaker, Barboursville consistently produces quality wines that have won international recognition. The Zonin family of Italy, brought their strong commitment to produce quality wines to Virginia in 1976. They were the first in the state to plant and successfully establish the revered vitis vinifera vines. The four Zonin brothers, proprietors of the largest Italian privately held wine company, descend from a family that has for centuries been wed to viticulture. The Wine: A wine of highly distinctive character, achieved in blending estate-grown Bordeaux varietals, Merlot, Cabernet Franc, Cabernet Sauvignon and Petit Verdot, Octagon’s great prestige rests further on its being created only in fine vintages, and with the most astute selection from the harvest. But it is also the highest expression of our estate’s European derivation and inspiration; a wine of unquestioned distinction and age worthiness in every incarnation. FOOD PAIRINGS: Osso buco alla veneziana, Chicken braised in Octagon and black olives, Sage and walnut-crusted lamb chop in rosemary jus. The Wine: Wine experts still come to Barboursville in the conviction that Nebbiolo should not be grown outside of Piedmont, only to express disbelief that this Nebbiolo is grown and crafted in Virginia (in the region of Piedmont no less!). Critics at the 2012 Virginia Wine Summit selected this Nebbiolo against famous alternatives estate grown in Piedmont, Italy, and the Barboursville vintages continue to garner the highest praise in international competitions. Experts Ratings: WS 90 Pts. 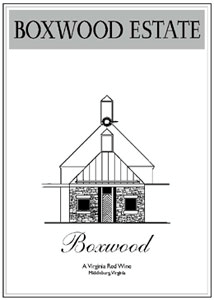 The Wine : The 2012 Boxwood is a blend of 56% Merlot, 33% Cabernet Sauvignon and 11% Petit Verdot, aged for 12 months in French oak (one-third each of new, second-use and third-use). Graceful and nicely crafted–something this winery seems to do well–this is elegant in the mid-palate, reasonably crisp, fresh and supported by ripe tannins. I rather liked this a lot. It is not a “wow” wine, but it has some potential to improve a bit over the next couple of years and it drinks beautifully. It won’t be the one you ogle, but it will be one of the ones you. The Boxwood sustainable vineyard, designed by noted viticulturist and consultant Lucie Morton, occupies almost 8 hectares of the farm, and are planted with traditional Bordeaux varietals, predominantly Cabernet Sauvignon, Merlot and Cabernet Franc, all ENTAV certified by the French Government. The stunning modern-style winery, completed in 2005, was designed by nationally acclaimed architect Hugh Newell Jacobsen, with winery consultant Dr. Richard Vine, Head of the Oenology Department at Purdue University. The winery complex, which features four buildings and a circular underground ageing cellar, is modern but harmonious with the historic farm and the Virginia countryside. State-of-the-art equipment was chosen from the USA, Italy and France. Experts Ratings: WA 89 Pts. El vino Blanco, calificado de Muy Bueno, con promedio de 88 puntos. El primer Tinto, también Muy Bueno con calificación Media de 88 puntos; el segundo Tinto de Excelente con calificación Media de 92 puntos. El tercer Tinto, también recibió una calificación de Excelente con 90 puntos. Esta degustación Ciega, según las notas del grupo asistente, resulto muy buena por ser todos los vinos degustados muy bien aceptados por los asistentes. NOTA FINAL: Segun las calificaciones y la opinión de los asistentes, el vino que se consideró mejor o de mayor preferencia, fue el Barboursville Octagon, con una Moda de 91 puntos. This entry was posted in Meeting Abstract and tagged Easter Mediterranean, Greece, Lebanon, Turkey. Bookmark the permalink.